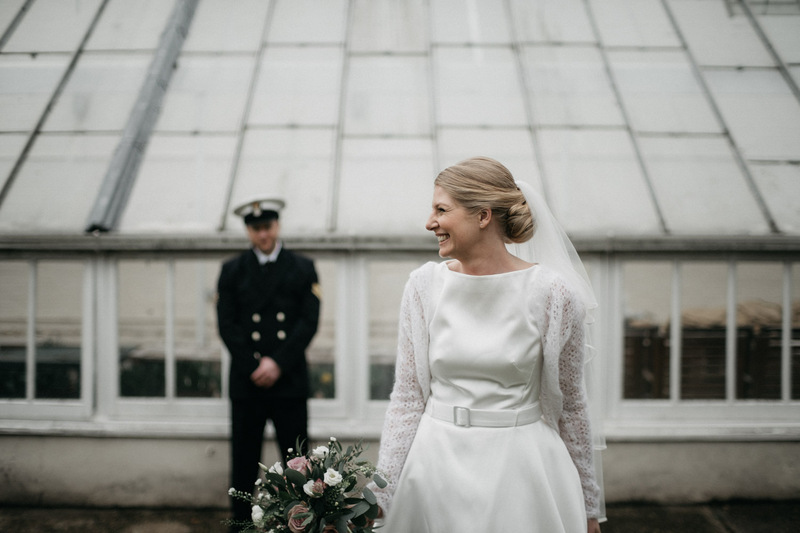 Jane chose a beautiful Mikado Cymbeline Paris wedding dress with the most subtle and elegant details. With delicate buttons running down the length of the bodice, the demure sweep of the neckline which framed Jane beautifully, the simple belt with buckle detail and the sweeping line of that stunning train. Then there was the veil – no bling required, just a ribbon edged finger tip veil with a blusher. Our very own elegant and sophisticated Audrey Hepburn was born! We were so excited to see Jane’s photographs as she was marrying a Navy man. Well, who doesn’t love a man in uniform? 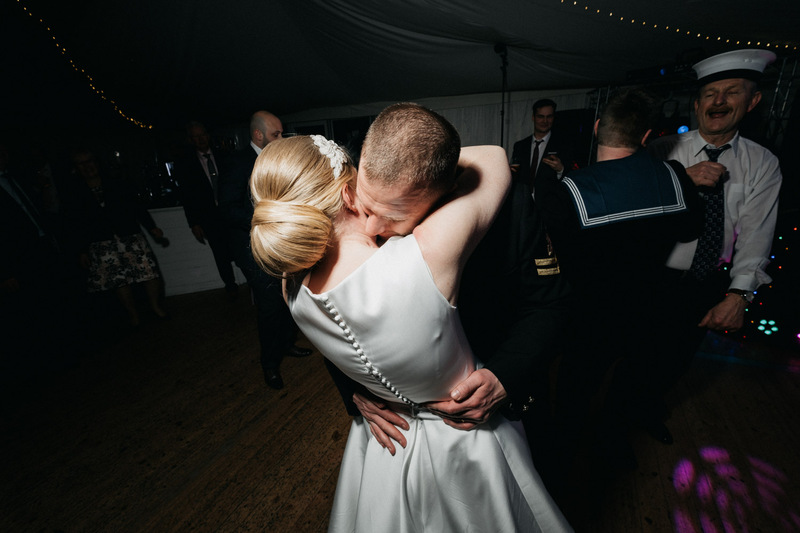 Jane and Gavin celebrated their wedding on Her Majesty’s Naval Base in Portsmouth, followed by a reception at historic Southsea Castle.